A Virginia native now living in London, Duck is a wide-ranging exponent of vernacular American music including its Scotts-Irish ancestry, as explored in his 1979 release Irish Reels, Jigs, Hornpipes and Airs (Kicking Mule Records). Subsequently, Duck has produced collaborations with Irish fiddler Kieran Fahy, numerous Celtic solo and anthology recordings, and Irish guitar teaching books/videos. Steve's deft, spirited Celtic fingerstyle guitar music can be heard on numerous CDs released by Rounder Records and Solid Air Records. 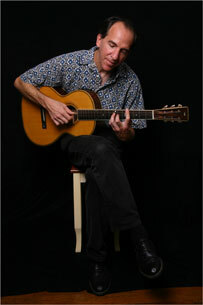 He is on the Digital Dream Door list of the 100 Best Acoustic Guitar Players in the world, and has written numerous instructional books for Mel Bay Publications. When Steve is not teaching and touring the U.S. and Canada, he can be found at home in the Bay Area. 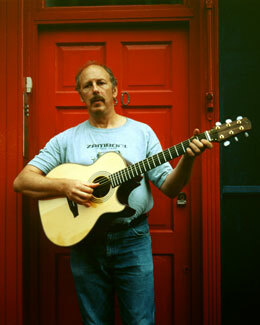 Alan is a San Francisco-based luthier and a superb guitarist who has been playing blues and folk guitar since childhood. 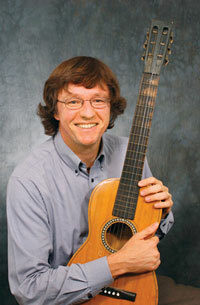 He has had a passion for Celtic fingerstyle guitar for many years.